Spencer Municipal Utilities encourages customers to save energy by looking for efficient products, and to make it easy to choose to be more energy efficient-SMU offers rebates for saving energy! The SMU Resource Conservation Incentive Program provides financial incentives to encourage customers to make improvements to their homes or businesses that save energy and water. One of the most cost-effective ways to save energy in your home or business is to install additional insulation. Customers who heat with electricity (resistance or heat pump) are eligible to apply for insulation rebates. An SMU representative must inspect the insulation before and after the work is done to be eligible. For the purpose of insulation rebates, cost includes materials, contract labor, and/or equipment incurred for the insulation project. Spray foam insulation installed during new home or commercial building construction is eligible for rebates. A customer may receive a rebate on more than one type of insulation upgrade at the same address. However, the total rebate may not exceed $2,500 for residential properties during the calendar year. A non-residential property may not receive more than $7,500 or $.25 per square foot of the area improved, whichever is greater, during the calendar year. For multi-family residential properties, the limit is waived but property owner should consult with SMU before starting the insulation project. Replacing your old heating system can save a lot of money on energy bills, while at the same time increasing your comfort! By switching to a super-efficient heat pump system, you could cut your annual heating and cooling bills by 50% or more, so SMU offers attractive incentives to help offset the additional cost of these systems. Remember: the best time to replace your unit BEFORE it fails! So rather than taking the risk of having a system failure when you need it the most, why not make the switch on your schedule and start saving money right away! Efficiency requirements listed below are based on the ENERGY STAR® minimums as of 1/1/19. As an ENERGY STAR® partner utility, SMU may revise these minimums as they are revised by ENERGY STAR®. In order to qualify for a rebate, the equipment must be AHRI listed and the AHRI certificate must be included with the rebate application. In order to qualify for a rebate on a heat pump, the building must be heated with electricity. For heat pumps, SMU will pre-authorize the rebate to help the customer and the contractor with planning. Please contact SMU for information on pre-authorization. 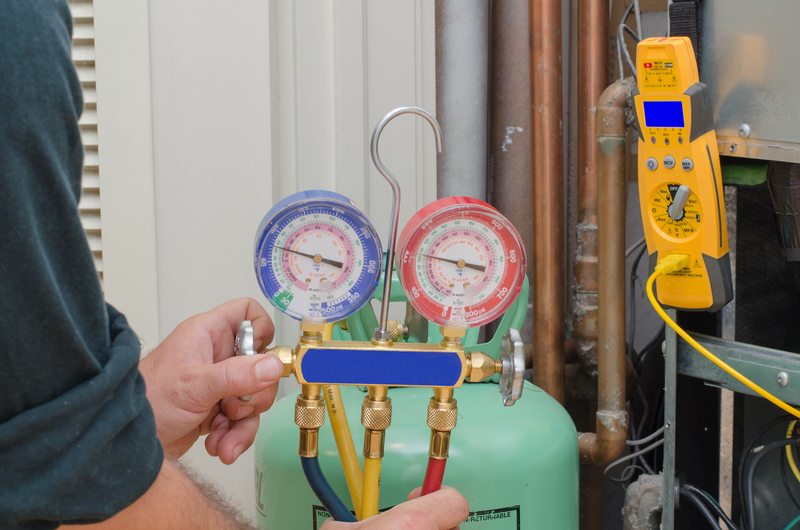 Two new water heating technologies can save you over 50% on your annual water heating bills! A heat pump water heater extracts heat from the surrounding air in your basement or utility room and uses it to heat water in an insulated tank. A solar water heater collects the sun’s rays to heat water and store it in an insulated tank. Both types of water heater are fairly expensive, but with SMU’s incentive and annual savings of up to $200, you’ll pay for the improvement in just a few years! SMU customers-especially commercial and industrial customers-can see huge savings by replacing their old, inefficient lighting systems with highly efficient fluorescent or LED lighting. And SMU’s incentives makes it even easier to make that investment! 1. The effective date is January 1, 2019. Programs may be changed or canceled by SMU without notice. Customers should check with the SMU office for information on programs. 2. Energy efficiency incentives are only available for properties that are within the SMU electric service territory. 3. SMU reserves the right to verify installation and invoices prior to rebate being paid. 4. SMU reserves the right to meter devices for which a rebate is paid to aid in determination of actual energy savings. Such metering will be at SMU’s expense. 5. Rebates will not exceed 50% of equipment costs minus any manufacturers or dealer rebates. Insulation subject to limits listed in Section 1. 6. Rebates will be issued to the party that paid for the improvement. If the rebate is for improvements at an owner-occupied residential or commercial property, the rebate will be paid as a credit to the utility account at that location. If that party does not occupy the residence or commercial property where the device was installed, the rebate will be applied as a credit to another utility account in that party’s name, or will be given in the form of a check. Payment will be made upon approval of completed application, sales ticket, and SMU verification. 7. Improvements made to rental properties will be considered residential rebates, but will be subject to the annual commercial rebate limits. 8. For rebates in excess of $1,000, the applicant may request a check rather than credit. In order to receive rebates for improvements under the 2019 program, the improvements must be paid for and/or installed during 2019. Rebates must be submitted within 90 days of invoice date or project completion. 9. Customers are responsible to ensure that all equipment and/or improvements are installed in accordance with all codes, standards, and regulatory requirements. 10. Rebates will be approved on new improvements only. No rebates will be approved for used items. 11. SMU does not guarantee reduced usage, demand, or cost savings. SMU makes no warranties, expressed or implied, with the respect to any improvements made. In no event shall SMU be liable for any incidental or consequential damages. SMU does not endorse any manufacturer or product in this program. 12. Completed applications will be processed on a first come, first served basis, until available funds are committed. 13. Any income tax or other taxes which may be payable as a result of a rebate being paid (or applied to the utility account) are the responsibility of the customer. 14. The decision of Spencer Municipal Utilities regarding any disputes which arise in the rebate program is final. 15. Customers who receive the rebate will agree on the application to allow SMU to install and operate demand response devices if the use of such devices is deemed prudent by the SMU Board of Trustees.